Author adminPosted on May 15, 2017 July 13, 2018 Categories air flow, air sealing, indoor air quality, ventilationLeave a comment on Why Your Home Needs Proper Ventilation. Do you think most of the pollutants you breathe come from outside your home? Think again. The majority of our exposure to air pollutants comes from the air we breathe inside buildings – our homes, offices, schools, etc. 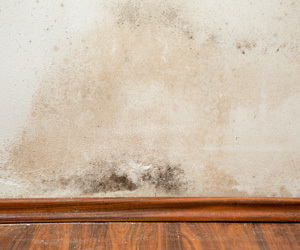 In fact, indoor air can be two to five times more polluted than outdoor air. The EPA estimates that 72 percent of a person’s chemical exposure happens at home. 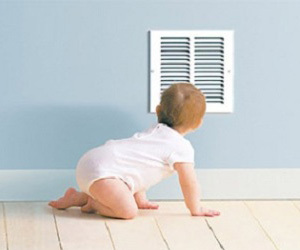 Air seal – Sealing air leaks creates a controlled indoor environment. It prevents outdoor pollutants from entering the home and allows an energy auditor to develop a plan to effectively maintain clean indoor air. 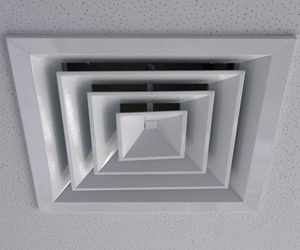 Properly ventilate – An effective mechanical air system with good filtration can help remove polluted indoor air from the house. Reduce indoor chemicals – Choose low-emitting products for your home. This can include building materials used in your home, furniture, cleaning products, and more. Have questions about your home’s indoor air quality? Contact our office – our team is happy to help. Author adminPosted on May 15, 2017 July 13, 2018 Categories air seal, indoor air quality, ventilationLeave a comment on How is your home’s indoor air quality?